As I mentioned back in January, one of my goals for this year is to RUN the Bix (as in, do more than just survive it). 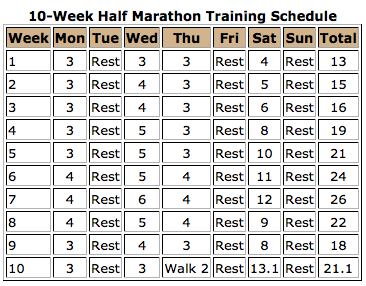 So I’ve put together this lovely six-week training plan to kick things into high gear. 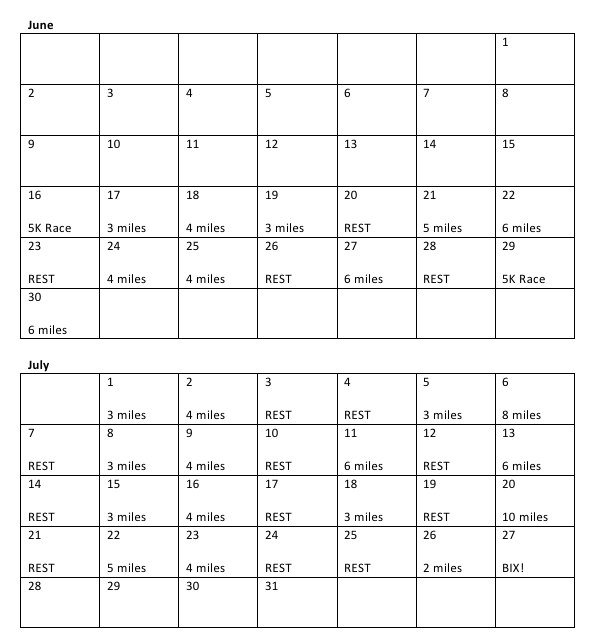 It’s kind of a hybrid between a 10K training plan and a half marathon training plan, cecause the Bix 7 is a strange beast that requires a bit of a different approach. 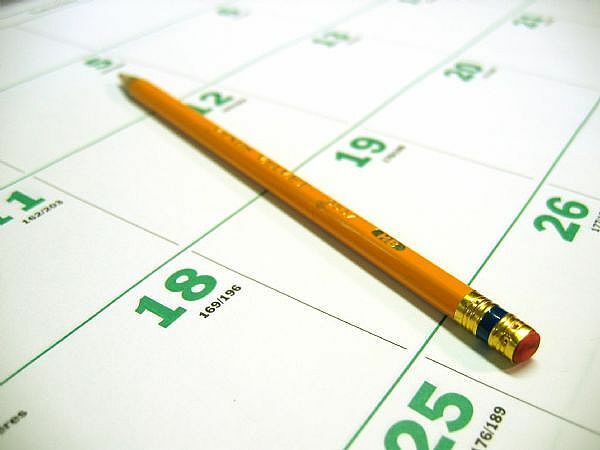 Obviously, as the weather and summer activities ramp up, I’ll have to modify things a bit, but I refuse to fall into that between-spring-and-fall-marathon summer slump.